This Riva 63 Vertigo is an absolutely stunning boat. To quote the captain ''it's like driving a Bentley.'' The boat looks fantastic, goes fast and has plenty of entertaining space. This Riva has been very well maintained and below decks the 3 cabins and heads are all in immaculate condition as the current owners very rarely stay overnight. There is also a single crew cabin tucked away aft. 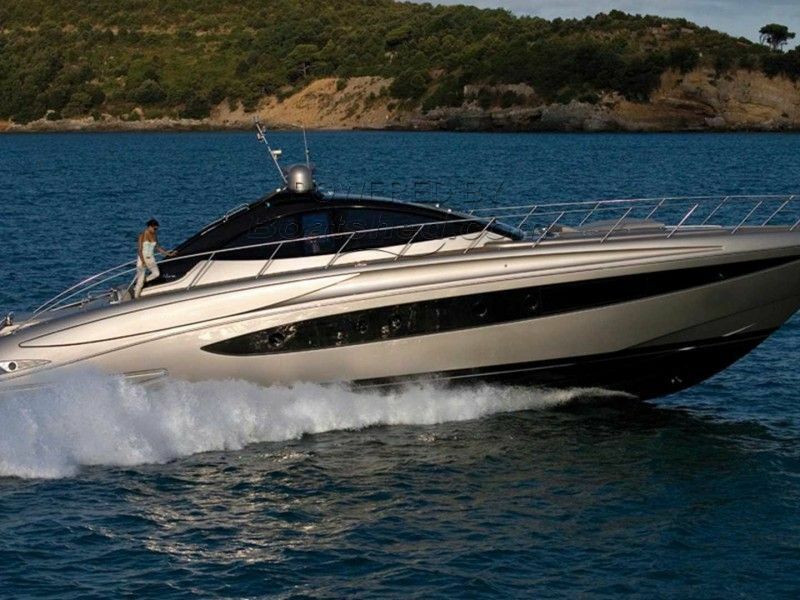 The two huge MAN engines can push this boat to 40 knots flat out at which speed it is still comfortable and smooth. This open Riva has a lot of outdoor space allowing you to make the most of the sunny Mediterranean climate and it is certainly a boat you want to be seen in. This Riva 63 Vertigo VAT Not Paid has been personally photographed and viewed by Edward of Boatshed Riviera. Click here for contact details.